Love is always better when it’s real. Soap is the same way. So here is some Valentine Day news that’s good all year long and perfect for those you love. When Soaptopia asked if I’d share my opinion, I said yes, and they sent me their $32 5-Soap Bubble Box at no charge. The nose and body is an amazing thing when exposed to scents. It will trigger a memory, and if it’s not an artificial scent, it will cause a physical reaction too. That’s why you break into a smile and remember hay rides as a kid when you smell a bonfire on a cold, fall night. Or why the smell of fresh bread relaxes you while thinking of your grandma’s sunny kitchen. Artificial scents don’t create the physical response because different chemicals create the smell. Even identical twins have different fingerprints. 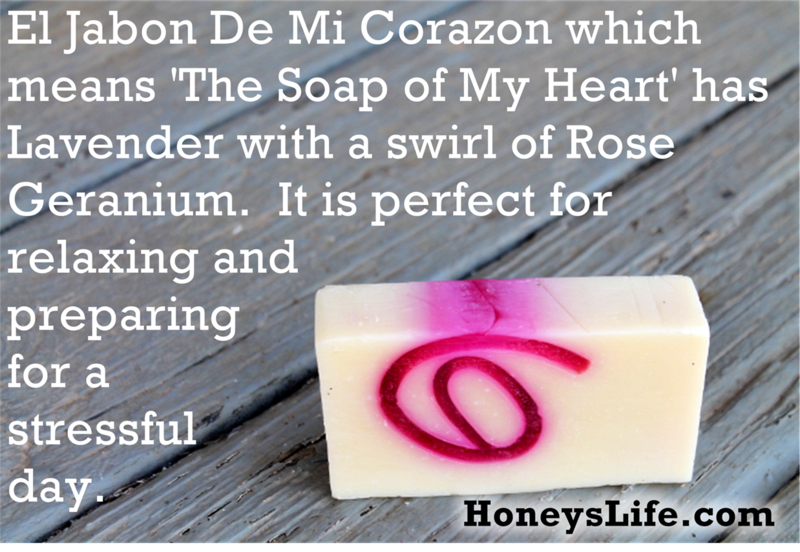 When they sent me their Valentine-y soaps, I was nearly overwhelmed by how strong the mixture of scents was. Unlike so many others I’ve tried, I don’t see these losing their scents quickly. They also use real essential oils and NEVER anything petroleum based. Why is that good? Well for me that means my sensitive skin doesn’t spazz out after the first lather and my kids, with fragrance and chemical allergies, are headache and nausea free. It also means they’re eco-friendly, never animal tested and never made with artificial fragrance. The bars are also NICE sized. The 6-7 oz of soap feels good and heavy in hand and against your skin. Ben, my hubby, and I had an amazing physical and emotional relationship. 18 years together with a very touchy person, and I got to benefit from it. Kissing and squeezin’ on me or putting his hand on the small of my back (Nothing sexier folks.) and I miss his touch so very much. I discovered that using bar soap vs. liquid soap helps me relax as it provides deep muscles pressure while washing as I am no longer getting that from my Ben. I’ve only been using them for a few days, but I’ve noticed my skin is less jumpy. I’ve also discovered my skin carries the scent wonderfully overnight since Sunshine comments on it. I’m starting to wonder if I smell! I can just imagine how choosing a soap and perfume, that complimented one anther, would layer and mix the oils, so they stayed longer on your skin. Using coconut oil afterward as a lotion also seems to lock it in better too. While bathing or showering releases the scents, it’s the heat of the shower that helps the scent of the essential oils saturate the air. Simply breathing in the soap scents trigger wonderful memories. Studies have shown that certain essential oils lower blood pressure, slows your heart rate, reduces depression, improves self-esteem and supports sexual health. If Ben were alive, my nightly soap would be “Strip Teas.” For now, it’s my morning cleanser as it does help with the depression that naturally comes with young widowhood. 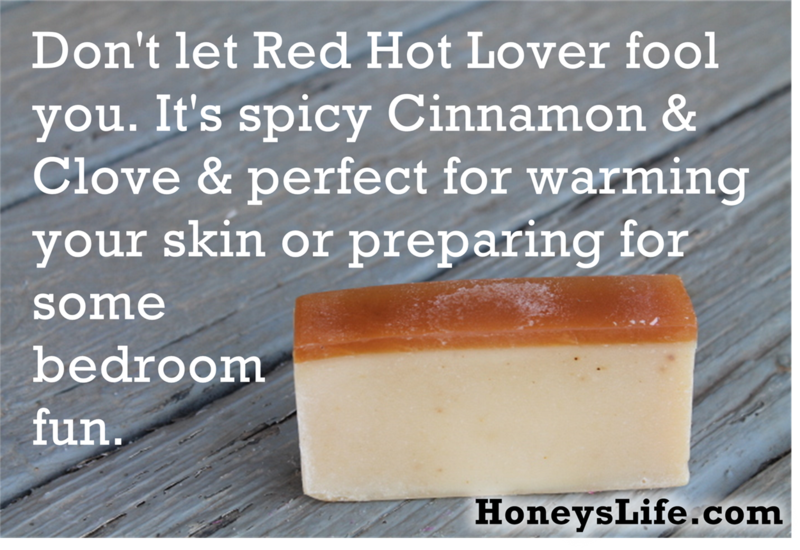 “Red Hot Lover” made me grin as the Cinnamon and Clove filled the air. Now, here’s my Valentine’s Day or whatever day it is that you’re reading this gift to you. Get in the car, head to your local big box store and buy Red Hots, peppermint (Wintergreen doesn’t give the same effect) Altoids, and Pop Rocks. Yes, I KNOW they’re conventional and full of sugar, dyes & junk but just buy them. Place them in a little gift bag and set them on the bed. If you use them right, you’ll sweat it all out. If you have no clue what I’m talking about email me with the subject line “Red Hots, Altoids and Pop Rocks” in the subject line and I’ll explain. Remember you asked and never use this wonderful advice for selfish reasons like I don’t know…getting a new buck or doe. I doubt your partner would mind. I know mine didn’t. Moving on! 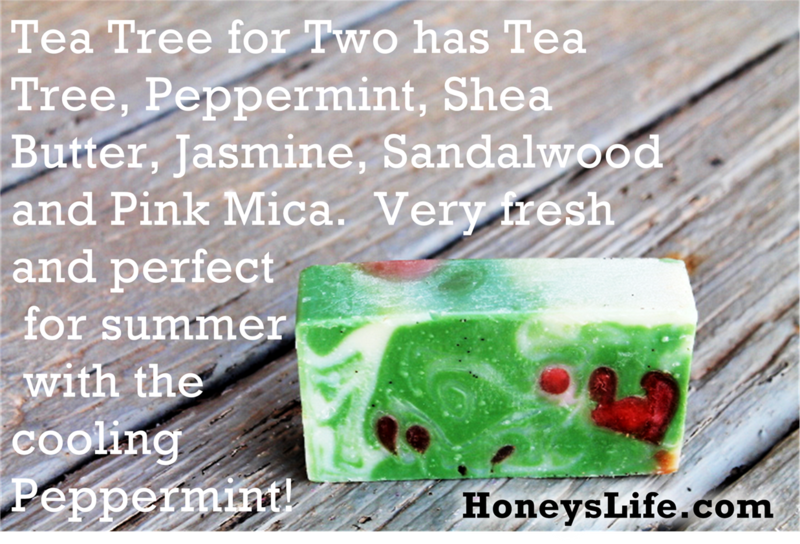 On the opposite end of Red Hot Lover lies “Tea Tree for Two.” It has peppermint oil which is cooling. I don’t like to be cold during winter. So, after one bath I let it air dry, bagged it up in the provided bags and popped it in the freezer just waiting for summer use. It’ll be PERFECT for summer heat when all you want to do is feel a cool breeze blowing. Strip Teas and Tea Tree for Two both share Jasmine which is ideal for supporting women’s health. I used jasmine to help birthing mommas and now for when I start my period. The tea soaps are my emotional blank slates as they do not bring a memory to mind. They will be a relief for days when I’m overwhelmed from young widowhood. What I most want to share with you is you can live and do more with your life than just what a particular day says so don’t save something romantic for Valentine’s Day, an Anniversary or even a wedding night. Embrace the now and let your loved ones KNOW how much you love them every day. You don’t have to say I love you with a piece of jewelry or gifts. 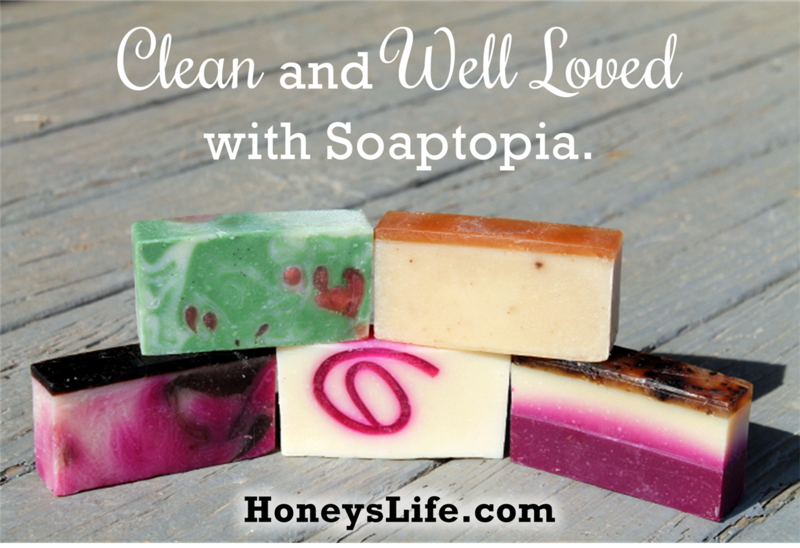 A book to read, a box of yummy smelling soaps from Soaptopia or a new animal for your homestead works too. I know it’s hard but just try the soap instead of a new goat. I bet you’ll end up with both in the long run. Don’t forget to share this with your friends and let me know what you’d choose. -A few chickens or goats, so you don’t have to mow? 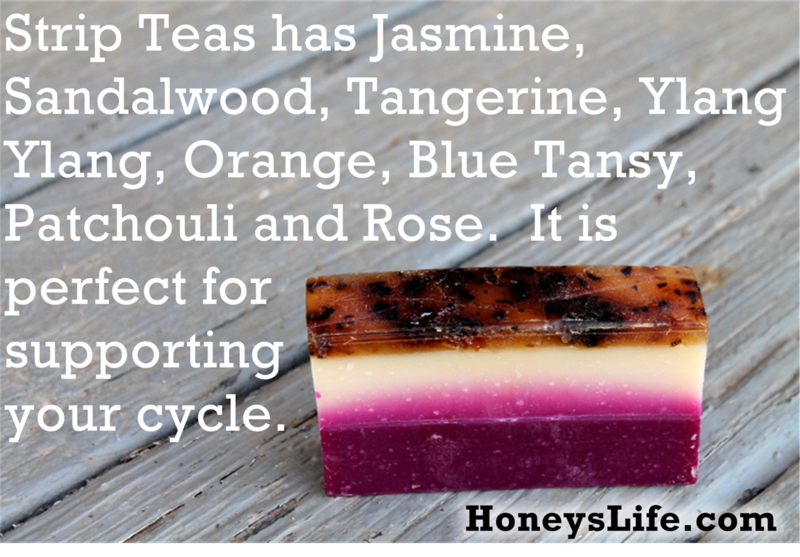 -Or soaps that would help keep your partner eager to support your homestead addiction? Hi Honey! How are you and the kiddos! I was so sorry to learn that your beloved Ben passed away. You’ve all been in my prayers! He was such a sweet gentleman! 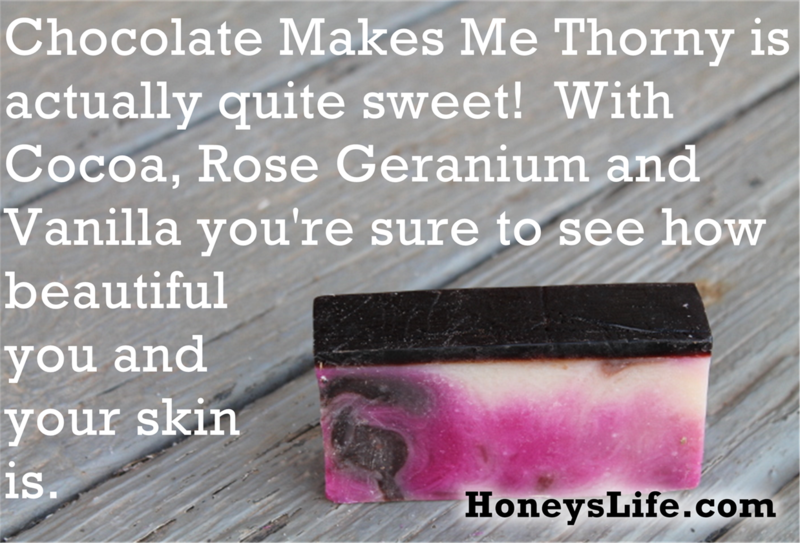 As for these soaps…. Well, you’ve made them sound so wonderfully luscious that I’d buy them if I had the money. Not that they are expensive, I just can’t afford it right now. But I’d certainly buy them if I could! I think I’d enjoy all of them except for the first one. Patcholi isn’t one of my favorite fragrances, but all the others are. Thank you for sharing this review! I am so happy to have found you and see how big your kiddos are getting. Prayers for comfort and blessings to you all! Thank you for the prayers Roberta. We’re doing better as we find our way.